Is Data Driven Marketing The Next Big Wave? How to make a long lasting brand positioning in consumers’ minds when the only constant characteristic about their behavior is volatility? What is the key to consumer satisfaction? How to deal with competition? How to capture consumer data and derive useful insights from it? These are all the questions that linger in the minds of marketers who see themselves trapped in the highly competitive business environment of present times. Today, when consumers expect a seamless and trouble-free experience across multiple offline and online platforms, marketers need to go beyond consumer segmentation to deliver a truly personalized experience. The key to burst the confusion bubble is to enable data-driven marketing. Whether it is the next big wave in the world of marketing is something that only time will tell. What we certainly know for now is that it currently is one of the most practical ways of serving customers to the best. The following are the ways in which data-driven marketing will unleash its true power. Convergence: The present day consumers have access to multiple channels for shopping and availing various services. Be its brick and mortar businesses, mobile devices or computers, marketers have to be proactive in exploring all the options to understand consumer behavior and serve them in a personalized manner. Social Media is another medium which generates a humongous amount of interactions that may give marketers greater insights into consumer preferences, their sentiments towards a brand and their changing preferences. Big Data: Big Data will certainly change the way the world works. Not only marketing but other sectors such as healthcare, retail, manufacturing, BFSI and many others will be benefited with the advent of advanced big data technologies. The world generates Zettabytes and petabytes of data every day and big data analytics will be instrumental in analyzing raw data of such at such a large scale. Certainly, it will help marketers plan their marketing strategy accordingly and precisely sketch up their market characteristics. Big Data Analytics in Real Time: We are inching closer to adopting a unified database to analyze raw data combined with predictive analytics in real time. This will give marketers user-friendly and readily available insights about consumer behavior preferences. Machine Learning: Machine learning is something which has not been explored to a vast scale, but there is a constant momentum building around machine learning and data exploration platforms. Finding predictive patterns of consumer behavior through machine learning can be a great idea if applied to marketing analytics problems. The Internet of Things (IoT): The most interesting technology trend that has the power to revolutionize data-driven marketing is Internet of Things (IoT). 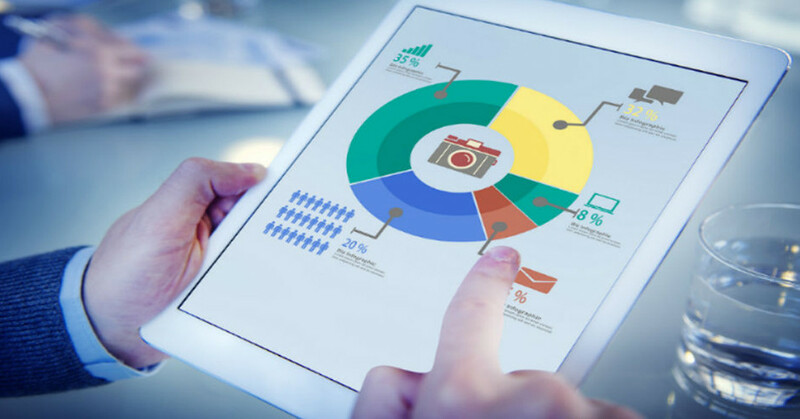 In an environment where machines will collect data, communicate with other machines, and interpret data to derive business intelligence on a constant basis, marketers will have the luxury to know their customers on a real time basis and serve them better. To summarize, we are heading towards an era where data-driven marketing will be powered by increased interactions, humongous amount of data, and new and interesting technologies to collect, process and interpret data. Sudheer Kiran is a digital marketing consultant & co-founder of the digital marketing agency DigitalVow that offers digital marketing services to small and medium-sized enterprises. He is passionate on covering topics like big data, business intelligence, data management and business analytics topics.